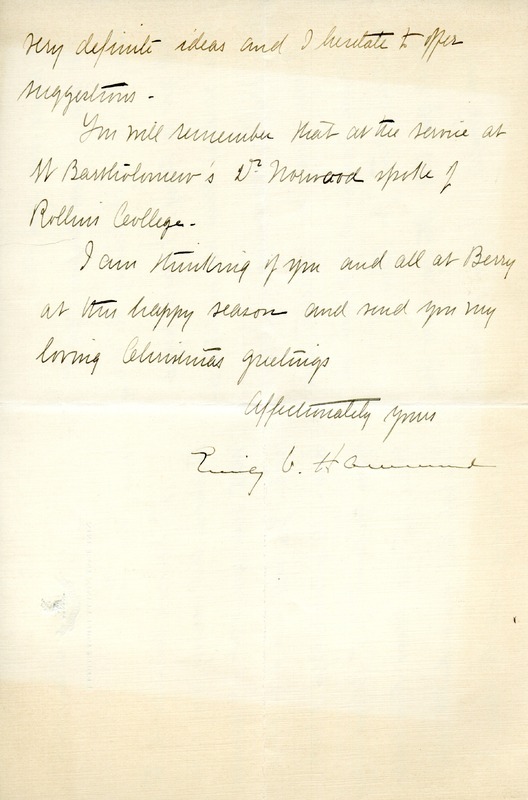 Hammond writes Berry that she will be hearing from Dr. Norwood soon about sending Berry graduates to Rollins College. She also says Rollins president Hamilton Holt ought to be sent an invitation to Berry. 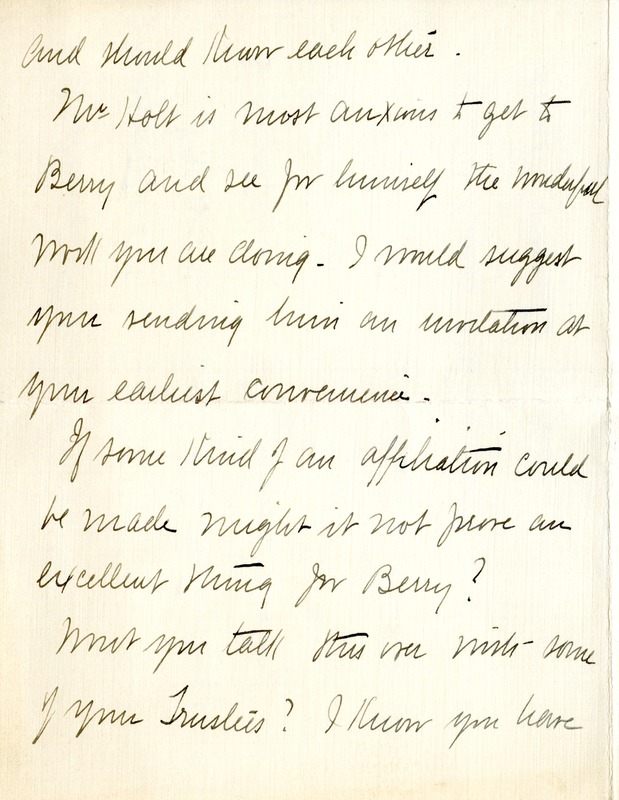 Emily V. Hammond, “Letter to Martha Berry from Emily Vanderbilt Hammond.” Martha Berry Digital Archive. Eds. Schlitz, Stephanie A., Sherre Harrington, Chelsea Risley, Alan Henderson, Meg Ratliff, et al. 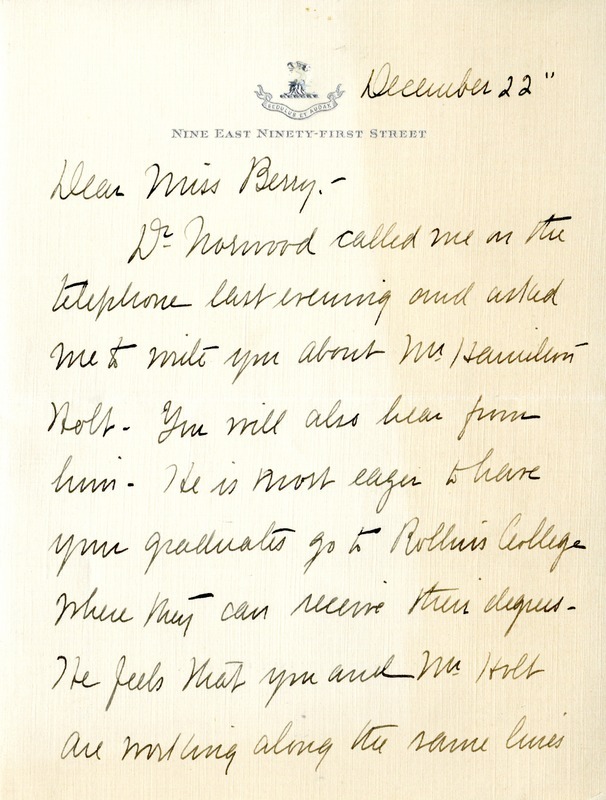 Mount Berry: Berry College, 2013. accessed April 19, 2019, https://mbda.berry.edu/items/show/12903.